An elderly endangered woman from Union City that was reported missing in Union City has been found. Mrs Gloria Beltran-Juarez is a 67-year-old females that was reported missing to the Union City Police Department by her brother on August 7th at approximately 12 noon. 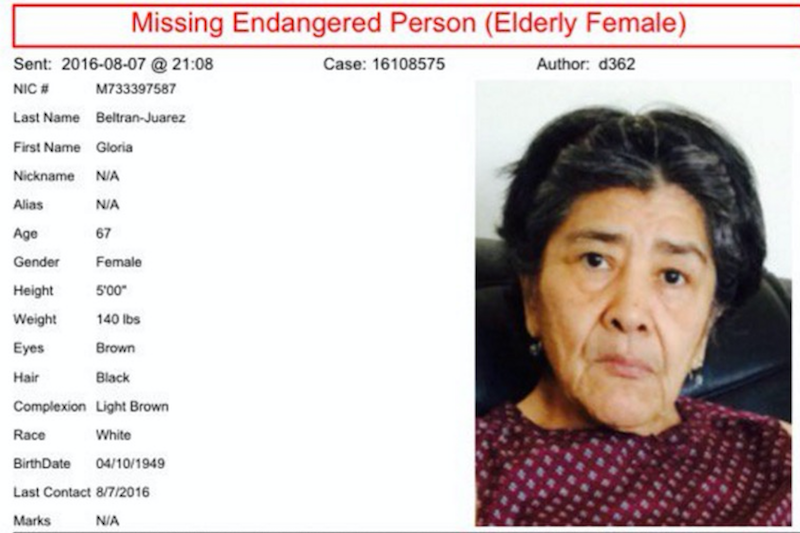 Mrs Gloria Beltran Juarez was last seen on August 7th in the area of 4545 Palisade Avenue in Union City. She was last seen wearing black tights, black shirt with white stripes, white sandals and black glasses. Mrs Gloria Beltran suffers from dementia and schizophrenia, the report says. Any information please call the Union City Police 201-348-5790.